The reviews of Microsoft's new mobile OS, Windows Mobile 6.5, are in -- and none of them are glowing. It seems that Windows Mobile 6.5 is more of a superficial cosmetic overhaul, not a bona fide upgrade capable of handling the mobile market's stiff competition. John Herman of Gizmodo says, "Windows Mobile 6.5 isn't just a letdown -- it barely seems done." Herman continues to say things aren't much better underneath the hood, and a quick peek "reveals an OS that hasn't been fundamentally changed in years, and which bears a strong resemblance to Windows Mobile 6.1, and a startlingly not-weak resemblance to PocketPC 2002." Staying far behind the race seems a reoccurring theme in Gizmodo's review. Herman also has strong words for Windows version of the App Store: "This isn't even a 6.5-exclusive service, and just about any app written for 6.5 will work on 6.1 and 6.0, and vice-versa." Herman's problems with Windows Mobile 6.5 are best summed up when he says the Zune HD is a better handset and it isn't even a phone. Dean Takahashi of VentureBeat had slightly better impressions of Windows Mobile 6.5. He calls it "a big step up from the crappy Windows Mobile experience of the past." He discusses mostly cosmetic details, such as the finger touchscreen interface; the App Store (which inexplicably has $20 apps); and Microsoft Office productivity you cannot find on other smartphones. Finally, damning Windows with faint praise, Takahashi ends the article gabbing about how fantastic Apple iPhone is: "But for now, the iPhone has a number of advantages over Microsoft. The upshot: you can still get a much better experience with an iPhone, which has superior multi-touch capabilities and accelerometer-based controls that work wonderfully in some apps. And there's still far more choice available on the iPhone." Yikes. Sounds like a review for a different product. Robin Wauters of TechCrunch discusses Windows Mobile 6.5's My Phone backup feature. "You can use Microsoft My Phone to backup all your data, including your contacts, calendar, photos, and more, to a password-protected website. When you switch to a new Windows phone, or you lose (data on) your current one, you can head to the website to restore documents, contacts, music, and anything else you synced in just a few clicks." Calling the download a "no-brainer," TechCrunch appears positive in its assessment of one of Windows Mobile 6.5's features. Matthew Miller of ZDNet flat-out calls Windows Mobile 6.5 a "disappointment." Miller gets frustrated with the new start menu, which, instead of being a drop-down bar like the start menu on a PC, has an iPhone-esque homescreen. The lack of customization makes Miller use his caps lock key: "You CANNOT place icons where you want to, you CANNOT add or remove icons, and you CANNOT create folders and manage the icons to create an efficient device. IMHO, this is so ridiculous that I see little value in this new Start menu scheme and find it to be worse than what we have on previous Windows Mobile operating systems." Almost everything else has not changed, Miller notes, complaining that you still need a stylus, even though it's supposed to be fully touchscreen-friendly. He also writes: "The Windows Media Player and Pictures & Videos applications are still the same pathetic ones we have had since the good old Pocket PC many years ago" -- but the Internet Explorer seems to be a "nice improvement." Final words: Miller "would never recommend anyone actually purchase a new device just to get this update on their smartphone." SlashGear gets super-specific in its review, highlighting the tiny elements of Windows Mobile 6.5 that will make you smile -- mostly on the business side of the coin. SlashGear is psyched for the release of Exchange 2010 so 6.5 can show its true colors ... but the statement makes no sense to me, since Windows Mobile 7 is due next year. Why not just wait? 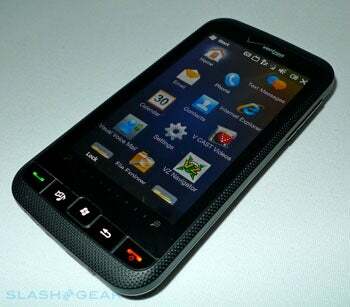 Still, SlashGear finds many usability tweaks that, to the savvy business customer, may speed up productivity. Overall, SlashGear's review is the most unbiased I read, therefore highly recommended to those wanting to burrow through the details without necessarily looking at the broader picture. "Faster, more stable, and more capable it may be, but Windows Mobile 6.5 still leaves us hungry for Windows Mobile 7 simply because that OS promises the revolution Microsoft's platform so badly requires. Windows Phones do some things very well - their Exchange integration is superb, and that functionality will only get better once Exchange 2010 launches - but Microsoft faces a tough struggle promoting them as consumer devices. 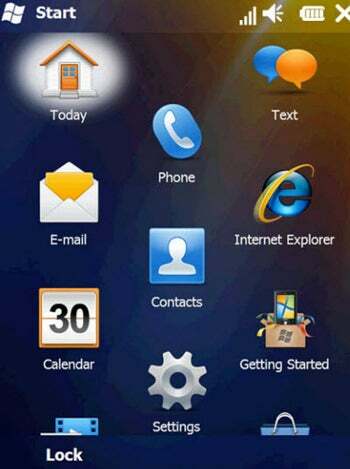 Enterprise users will likely find this latest version a decent mixture of the familiar and the new, but Windows Mobile 6.5 still falls short of a knock-out blow against webOS, Android, and the iPhone." 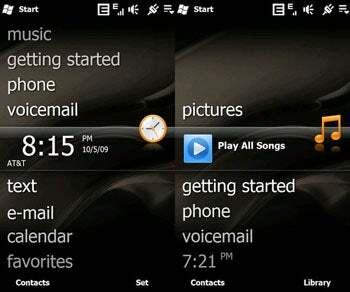 Windows Mobile 6.5 comes into the world with the world against it. I'm not sure this will be a failure the size of Windows Vista; however, it will most certainly be one of Microsoft's weaker moments in recent memory. But like Windows 7, and Windows Mobile 7, perhaps Microsoft will quickly learn from its previous mistakes and release something that consumers might, you know, actually want.